We have a selection of resources to help you get your business noticed, from downloadable guides to recorded video courses. 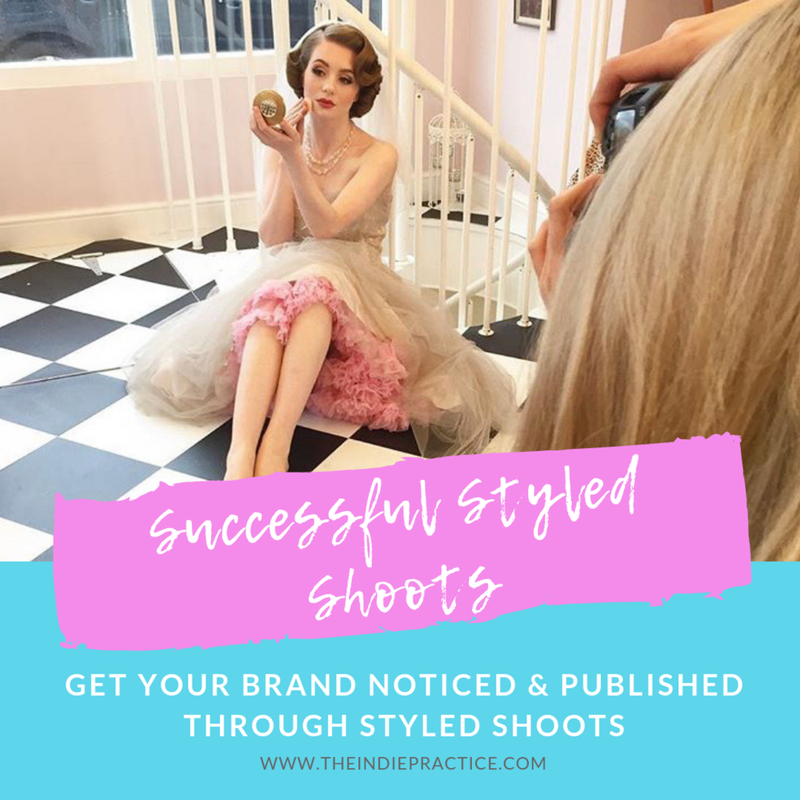 Styled shoots within the wedding industry are a key way to get your business noticed, by wedding blogs and magazines. They are also important for your website and social media as well as your portfolio. Even for those not in the wedding industry, a styled shoot is a great way to showcase your brand and position yourself as an expert within it. But it is not easy to get it right. Kate runs the wedding blog Magpie Wedding as well as being the wedding editor for Vintage Life Magazine and she gets hundreds of submissions every month, most of which have to be declined. Some are not right for the publication but we hate to say it, some are simply not good enough. We get many, many shoots that offer no point of difference from what have been featured before. And we hear that from other wedding blogs and journalists. But we want to help you change that! We want to show you how, with careful planning and research, you can create something that bloggers will argue over – they will all want to feature it! This is our 5 simple ways to improve your SEO Masterclass. Kate discovered that she was ranked no where for her key word search and was not happy! She went away, over the course of a week and actioned everything in this masterclass and within 7 days she was promoted to number 3 on page 1. A few weeks later she was number 1! And number 2 and 3 as well as having 2 images in the top 5 of Google Images. This made such a difference to her business, in terms of bookings, enquiries and press. Let us show you can do the same in my SEO Masterclass.